There, I said it. I remember how obsessed I was with that 9 track album and had it on heavy rotation. That album was pure genius! Experimental, revealing, thought provoking and beyond ridiculously pure pop creative heaven. Somehow, moving forward to Born This Way and a more so pointing fingers to ARTPOP, it seemed Gaga got sucked into the black hole of the massive self-ego maniac of celebrity and forgot what her true identity was, and what she represented. I’ve been a big fan of hers since she first appeared in 2008 and thought how refreshing she was for the pop music industry at that time which appeared to be dying a repetitive breed, manufactured and boring. But the moment when she started to believe the social media and celebrity hype, becoming more than just ‘Mother Monster’ in different respects, she kinda lost me. I was still a fan but from a distance and still enjoyed some of the singles released from those last two albums but just couldn’t listen to the albums in its full entirety, as it… well seemed a mess and basically, did my head in. But moving forward from then to when she recorded the jazz album ‘Cheek to Cheek’ with Tony Bennett and her involvement with the American Horror Story TV franchise, it seemed Gaga dialed back both her music and style and resumed her brilliance. This is the most personal Gaga has ever recorded, dedicating and naming the album to her late Aunt and it appears to have thrown out the pure pop genre and replaced it with various genres from country, to 70’s rock, folk, soul and electronic, and it seems that Gaga is finally in her element. The music styles on this album suit her big voice way better and showcase the brilliant artist that she is, not allowing the razzle dazzle over the top publicity outfit stunts to overshadow her musical artistry. In my own opinion, I feel that the album should have started with the first single, the thrashing ‘Perfect Illusion’ which is a song about her break up with ex fiancee actor Taylor Kinney. It’s a perfect mixed up mash of electronica with rock, that has you head banging your head at the power punk riffs and angry tones. I just feel that particular song just gets lost in the middle of the album and really doesn’t connect to the rest of the album. ‘Diamond Hearts’, starts off slowly and builds up to the chorus: “I might not be flawless, but you know I’ve got a diamond heart,” Gaga’s voice is firm and powerful. 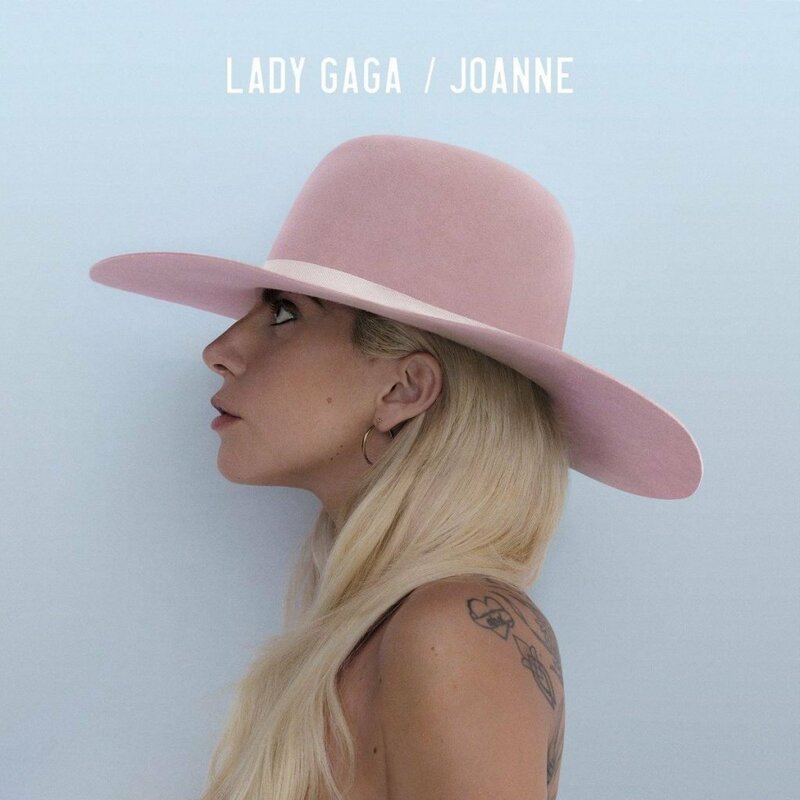 Going into ‘A-YO’ a trip hop slap fused country style song to the much slower, emotional, guitar-driven melody of ‘Joanne’, it’s so clear that Gaga is trying on every Americana hat and to be honest, I think it works to her advantage. This album is showing the evolution of this artist. Lady Gaga is the love child bred from Ziggy Stardust and (early) Madonna: a beautiful combination of creative visionary, eclectic artistry, vocal bravado and the punk heroine for this generations minorities. Gaga is the perfect show girl performer. From the art house, to cool kid, to the plain weird/left off centre, to the old style Hollywood beauty to the folklore, 70’s rock chick, the woman knows how to put on a musical act. You can’t deny it. ‘Dancin’ in Circles’ has a non-Gaga vibe about it where it doesn’t sound like Lady Gaga at all and has you wondering if a Gwen Stefani song accidentally got put onto the Gaga album. It has a reggae ode to she-bopping but still has you bopping along and grows more on you as listen. ‘Million Reasons’ and ‘Sinner’s Prayer’ have that ’70s folk edge, with slight gospel twinges to them, and Gaga’s vocals and delivery of the songs are just perfection. For those who are still unsure about Gaga’s new album, just look back onto her first album, ‘The Fame’ and ‘The Fame Monster’ and you will see snippets of similar songs. Songs such as Brown Eyes, Summer Boy, Speechless and Teeth are very similar to what is on Joanne. If you’re expecting the outlandish, meat dress/egg costume crazy Gaga persona, then forget about it. Every artist has to evolve and cannot be stuck in what they once were when they first started out. Artists are exactly like us normal mere mortals, they too grow as they age. In the past the secret to Gaga’s success had been her outlandish costumes and performances, the cult of her personality but now, Gaga doesn’t want to just be known or remembered for her outlandish costumes personas of the past; there is more to Gaga than just that meat dress or the egg capsule – there is her undeniable talent, that has yet to be taken as seriously and this is the album where she reveals her heart and cuts open her soul. It just can’t be about an album of club bangers or pleasing the fans anymore, its about the grow, the artistic integrity and the vitality.